There are only 4 Mountain Gorilla National Parks in the whole World. At present, the estimated number is around 1000 Mountain gorillas spread across the four national parks found in East and Central Africa. These parks include Bwindi Impenetrable National Park and Mgahinga National Park in south-western Uganda. Others are Volcanoes National Park in the north of Rwanda and the Virunga National Park in the eastern side of the Democratic Republic of Congo. Out of the world’s estimated 1000 mountain gorillas, Bwindi Impenetrable National Park has the biggest population of these primates with half the numbers to it. 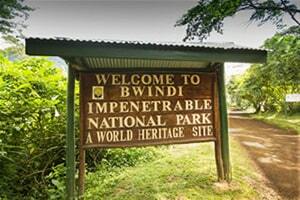 Bwindi also boasts of the largest number of gorilla families followed Volcanoes National Park in Rwanda. 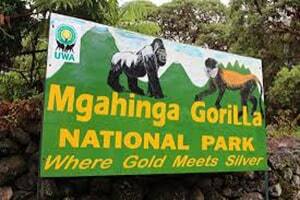 The two parks are trailed by Mgahinga with only one gorilla family and the Virunga National Park whose gorilla safari activities are minimal due to on and off security threats. Gorilla trekking is the major activity in all the four tourist destinations something that has greatly boosted the conservation efforts in saving the endangered primate species. There are programmes in place geared towards the protection the mountain gorillas. To get access to the gorilla parks, one must first book a gorilla permit through a safari company that would prepare gorilla trip successfully. The gorilla habitats are under the care and management of government bodies. In Uganda, Bwindi and Mgahinga National Park are under the Uganda Wildlife Authority (UWA), a government body charged with monitoring, protection and management of wildlife attractions in Uganda. 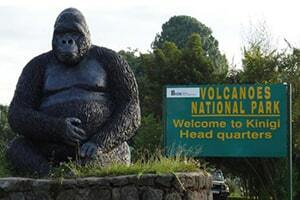 The Volcanoes National Park is managed and supervisid by the Rwanda Development Board (RDB). RDB is bigger government institution that brings together several public sectors including the country’s wildlife and environmental conservation plus tourism management. 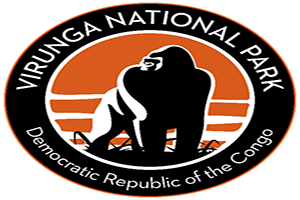 The Virunga National Park is under the Congolese Institute for Nature Conservation (ICCN), semi-government authority charged with managing the protected areas in the Democratic Republic of Congo (DRC). Bwindi Imepentrable National Park found in southern western Uganda has got over 15 gorilla groups available for trekking. Out of about 1000 mountain gorillas remaining in the whole world, Bwindi boast of half the number. Bwindi is the busiest park with gorilla trekking safaris out of the four gorilla parks in the region. Mgahinga is found in the south western Uganda in Kisoro district. Covering 33.9 km², the park is an extension of the Virunga in Uganda with one gorilla family available for tracking. The park that facilitate Mountain hiking and nature walks is the only habitat for Golden Monkeys in Uganda. The Park is a home for mountain gorillas and Golden Monkeys in Rwanda. The park has 7 habituated gorilla groups available for tracking. Found in the north western side of Rwanda, Volcanoes borders Virunga National Park in Congo and Mgahinga Gorilla National Park in Uganda. Virunga National Park, a home to endangered mountain gorillas is positioned in the Albertine Rift Valley in the eastern side of the Democratic Republic of the Congo. The park among the first protected areas in Africa was set up in 1925. Virunga is among the most biologically diverse areas on the planet.